Welcome to Week 2 of One Room Challenge Fall 2017! What an amazing group of talents this fall with 20 featured designers and over 200 guest participants to re-imagine one, two, or ten rooms (hats off to Oksana of Foxy Oxie) in 6 weeks! I will be making over two spaces this time around, mostly motivated by the wallpaper choice. After all, if we are installing the same wallpaper in two rooms, why don't we just do them at the same time right? 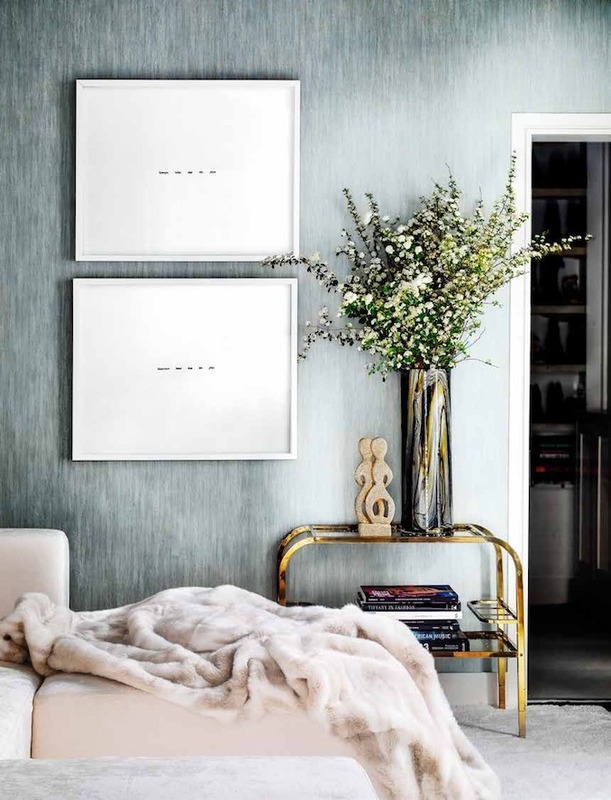 For the guest bedroom, I am inspired by these serene, sophisticated, and light-hearted spaces. 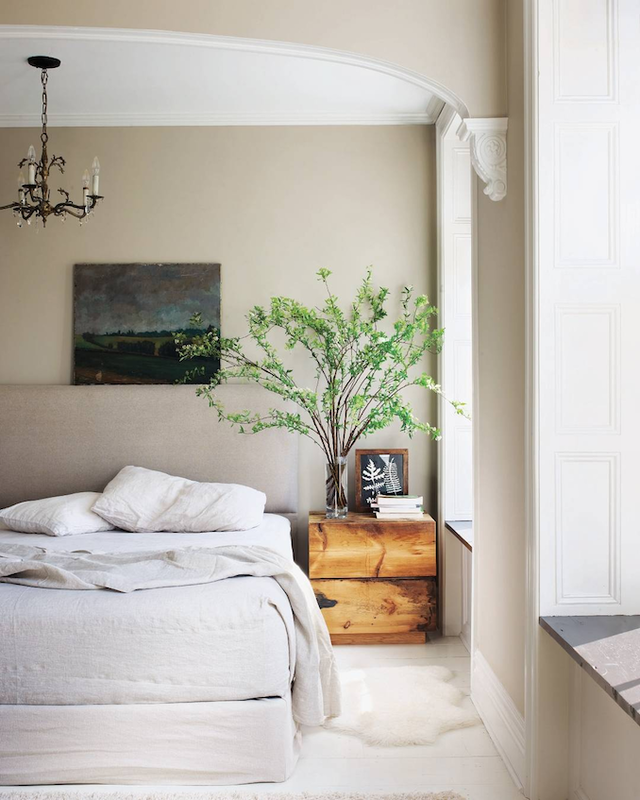 The upholstered bed, the neutral walls, the simple yet impactful greenery, and a touch of unexpected whimsy for character and charms are the core elements I want to incorporate into my design. Well here is what I came up with! 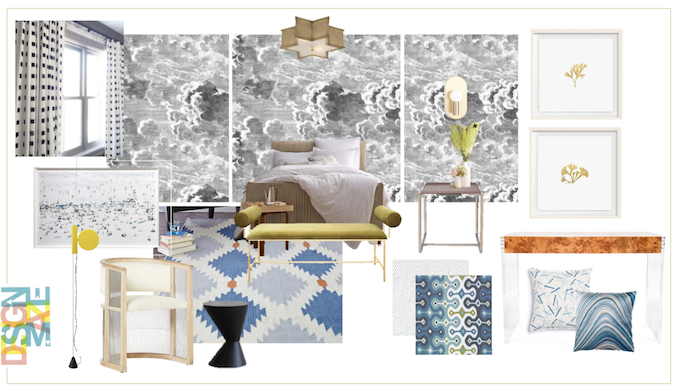 On top of the elements I mentioned from my inspirations, I also want the guest bedroom to have a vacation vibe. Sailing along the Mediterranean Sea, hanging out at beautiful sandy beaches, lounging in a luxe design boutique hotel: now that is what I want to achieve in this space. The list isn't too long but it does require everything coming together as planned in order to meet our deadline in 5 weeks. 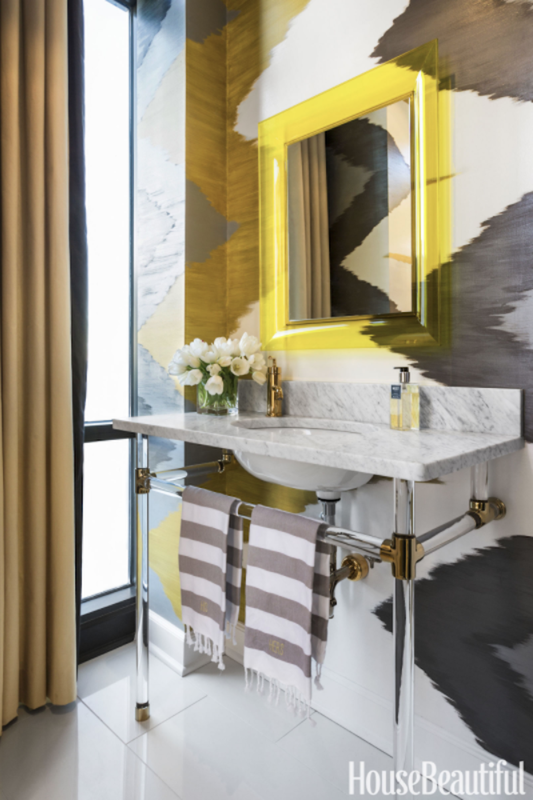 The boldly patterned wallpapers in the inspiration images serve as my jumping off point to make this smallest space of the house a real showstopper. 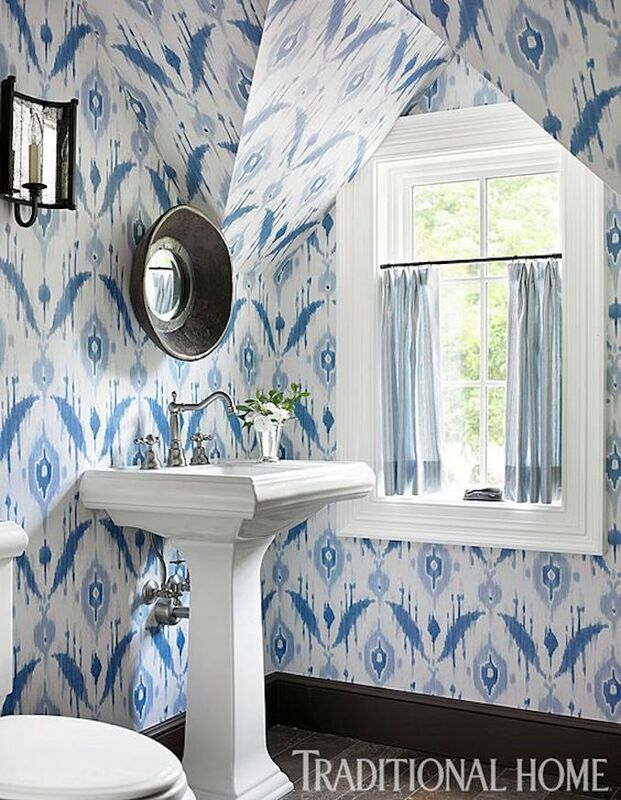 Since we are installing the Nuvolette wallpaper in the bedroom already, why not give the powder room a fab new look? 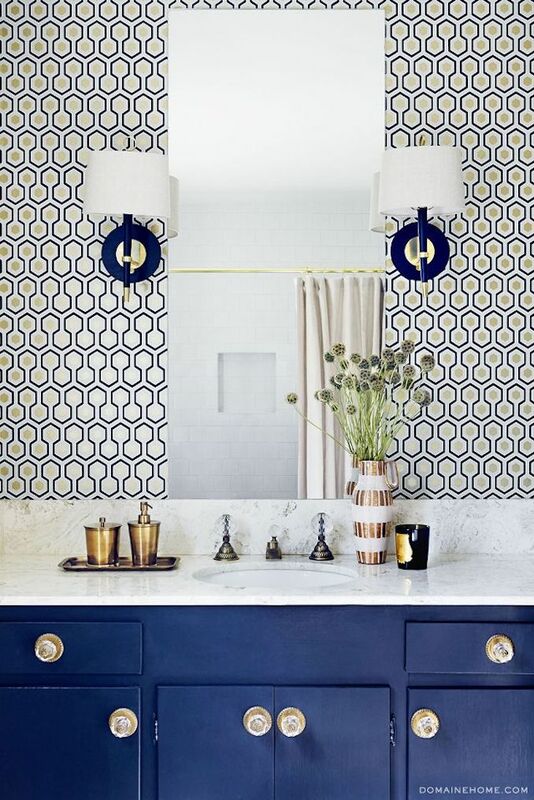 I want the guests to be blown away the moment they stepped inside this powder room. Dramatic, edgy, and unexpected, I plan to marry a variety of styles and materials to outfit this decadent jewelry box. The handyman will come over next week to get the core essentials in place and I can't wait to share our progress next week. Be sure to check out the Week 2 progress of the 20 featured designers and guest participants of One Room Challenge! I think anyone who sees this will be blown away! Beautiful! Thanks Kim!! I love yours too. Let's cross the finishing line together in 4 weeks! I love that you're doing two different rooms - what an undertaking! Love your inspiration and can't wait to see how it goes! You're going to have some lucky guests! yeah I figured since we are installing the same paper, why not right? I am sure I will be reminding myself just that when we get to week 5! Beautiful! I especially love that wallpaper and can’t wait to see how both rooms turn out. That's one of my all time favourite wallpapers! So excited to have found the perfect spots of it! This will be a showstopper! Cannot wait to see the final product! WOW! Just wow. You are doing so much and your concepts are gorgeous! Can't wait to follow along! Thanks so much Lee! Same to you as well! Tim!!! Love it all - the whole shebang is going to be fantastic. That paper will set the stage...cannot wait!!!!! Thanks so much!! I can't wait to see it all coming together either! just 4 weeks away now. I'm loving EVERYTHING about your inspiration. I especially love the mood board at the end. Looking forward to seeing you pull it together! TYTY Ariel! It will be fun this time around! That wall paper -Wow! It's going to be amazing. Can't wait to see it all done. I have been waiting to use this wallpaper for a long time! So glad to have found a spot for it! As always Tim, I know your room will be STUNNING! Loving the mix on your mood board!!!! Can't wait to see more! Thanks Vel!! LOVE yours too ... let's cross the finishing line together! $3200 for a sign in the bathroom? Ok I'm out of my league here! we luckily found a smaller and more economical version and it is such an amazing piece. can't wait to pick it up and see it installed. Two rooms in six/five weeks plus your day job! You're amazing! Can't wait to see them especially with the gorgeous wallpaper. Thanks V and you are doing a basement with multiple spaces! lets wrap our spaces up in 4 weeks! What amazing vision you have, Tim! I LOVE the direction you're taking for both spaces, and wow - you are brave! 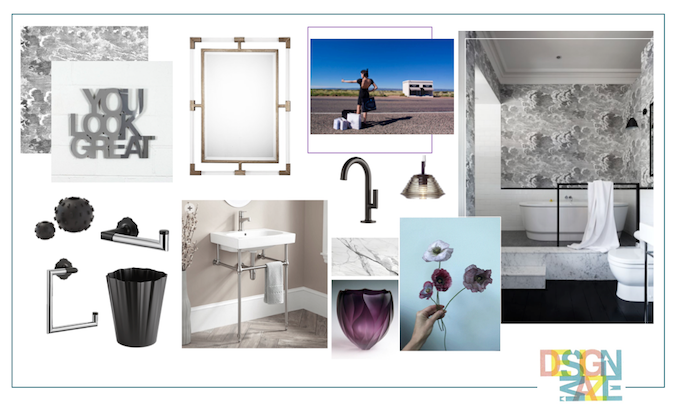 I can hardly keep up with our bathroom 'update', not even a renovation, plus blogging and every day life haha. Can't wait to see how it all comes together! thanks! we are making good progress here and I can't wait to share more in week 3! I LOVE this wallpaper! Can't wait to show you how it looks installed in Week 3! Great progress Tim! I love the shout out to Oksana (I don't know how she is doing this - and being a new mama). I love your plans - that wall paper is a dream! I cannot wait to see the reveal. thanks Andrea! your stenciling is so impressive too! 3 more weeks now! Love, love, love that wallpaper!!! It really sets the tone for the entire space.